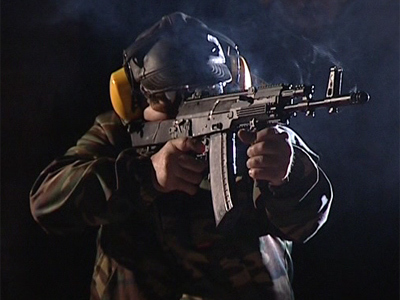 The most famous assault rifle in history, the AK-47 became synonymous with war in the last century. But now Izhmash, its producer is fighting for a place in the sun as it finds itself on the brink of bankruptcy. 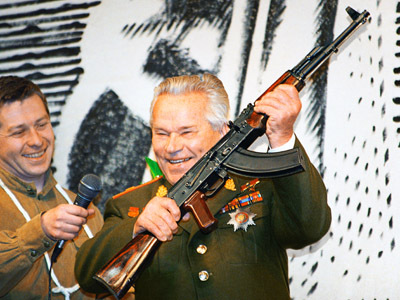 ­The AK-47, also known as the Kalashnikov rifle, was first made after the WWII, but is still used by some 50 national armies, as well as irregular forces worldwide. In some countries, the AK-47 can be bought for chump change. While other countries have rated the rifle so highly, they even included it in their national flag and coat of arms. The weapon is almost unique among Russian products for its worldwide reputation as effective, reliable and easy-to-use. Despite the worldwide renown of its best-known product, Izhmash is in a deplorable state after a recent audit revealed that by last year, the manufacturer had run up debts of $650 million. With a complicated multilevel management system, obsolete facilities and low capacity load, the company had become unprofitable. But Izhmash has no intention of grounding arms. 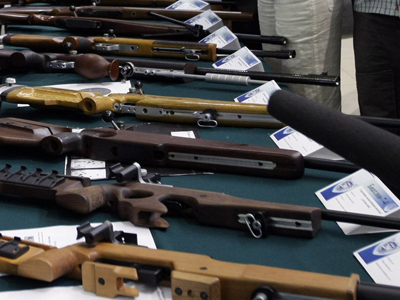 The new management plans to bring the troubled rifle-maker back on track through creating a new legal entity from the assets of the bankrupt firm. “The model we took is General Motors, which went through restructuring in a bankruptcy case and the creation of a new company, which took all good assets and sold what we call bad assets,” Maxim Kizuk, the CEO of Izmash, told RT. “We fought the bankruptcy with all the current assets, created a new company, consolidated the debt and are now transferring business from the old company to the new one”. Izhmash is also going to spend about $70 million over the next three years to upgrade its production facilities, step by step. Kizuk says the manufacturer will raise funds with its own production cash, leasing schemes and some direct financial help from the Russian state. Izhmash plans to finalize its recovery by the beginning of 2013 and hopes to develop 10 new products next year. The company plans to boost its export to Asia, South East Asia, and Latin America. It is also eyeing export of civil products to the US, which accounts for about two thirds of the global civil production market. Civil production currently accounts for about 50% of Izhmash’s output.